The most important relationships in your life time with animals let you feel not alone. 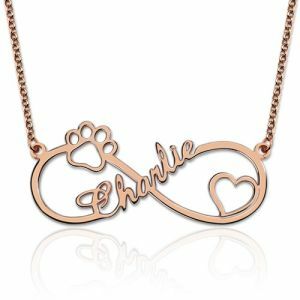 This infinity paw print name necklace pendant is the perfect way to show your love for that furry friend in your life. 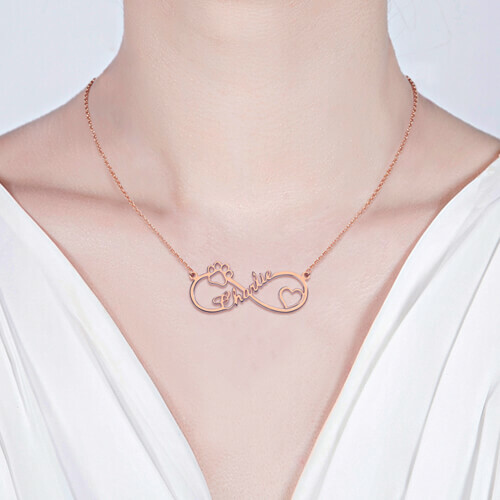 it's suitable for anyone who love this unique design necklace.